Siqens offers high-quality and innovative products for a wide range of applications. Our energy solutions stand out with convincing advantages in the field – clean, low-maintenance, silent and safe. The Ecoport fuel cell runs on standard methanol, the worldwide available and cost-effective fuel with high energy density. 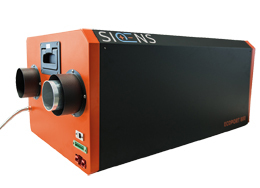 Siqen’s products are designed for off-grid applications – as a stand-alone power source, emergency power supply and in combination with solar and wind. Our customers are looking for off-grid power for industrial applications, e-mobility, home energy and rural electrification. Our Customer Solutions Team supports you in the selection and installation of the energy solution. 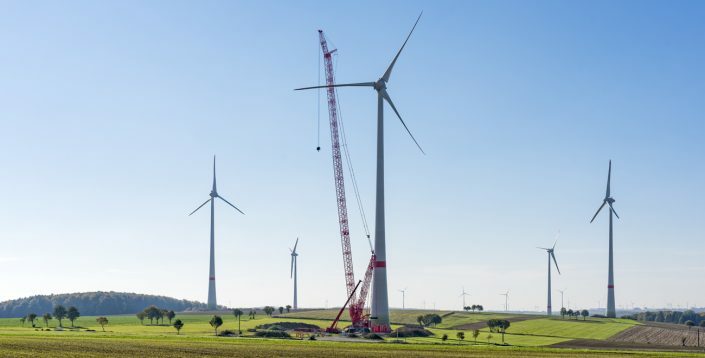 Customer-oriented competence combined with years of experience will provide you with clean energy – anytime and anywhere! The Ecoport 800 is the best energy solution for off-grid applications in the lower kW range. Silent, low-maintenance, environmentally-friendly and runs on technical methanol. 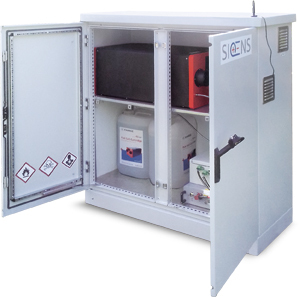 Siqens offers a complete energy solution in a weatherproof cabinet. Ready for immediate installation, the EcoCabinet will supply all kinds of applications with clean and silent electrical power. 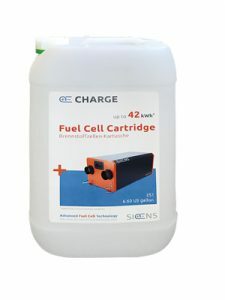 The Siqens Ecoport 800 fuel cell runs on inexpensive and globally available standard or bio-methanol. Local chemical warehouse serve as a supply source. You can also order the Methanol from Siqens anytime.